From everyday meals to complicated culinary feats, Rachael Ray reveals what she cooked for her own family and friends for one whole year. With "My Year in Meals," Rachael Ray invites readers into her own kitchen, offering recipes from her kitchen diary and sharing what she cooked for her own family over the course of a year. From weekday dinners to complex party menus, this book shows a side of Rachael you've never seen before. And for the first time ever, Rachael's husband and manager John Cusimano offers his own personal cocktail recipes. 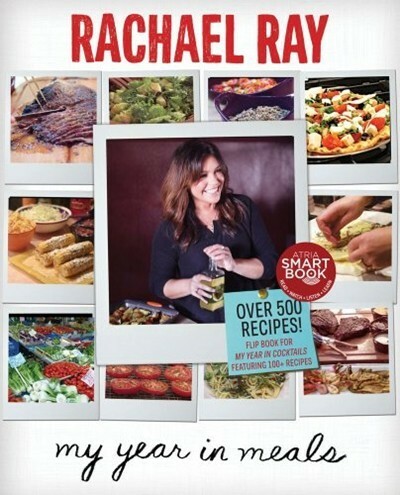 In addition to its lavish illustrations and photographs throughout, "Rachael's Year in Meals" contains Microsoft tags that connect readers to videos of Rachael demonstrating techniques, sharing cooking tips, and telling personal cooking stories.